Your Go Goodwins Manchester Storm came away from this evenings 11-goal thriller against the Guildford Flames, with a 6-5 over time win at SilverBlades Ice Rink Altrincham! 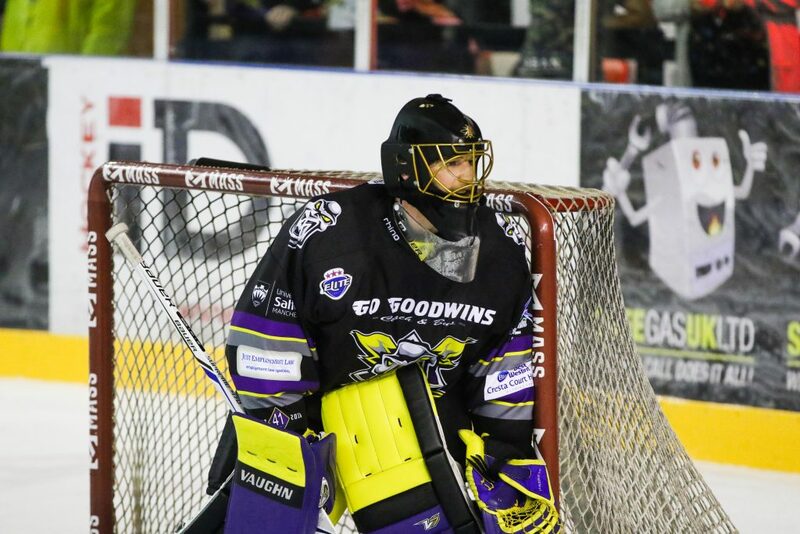 Infront of a busy “Storm Shelter”, Storm took to the ice coming off a 6-2 win over fellow confrence rivals, the MK Lightning. 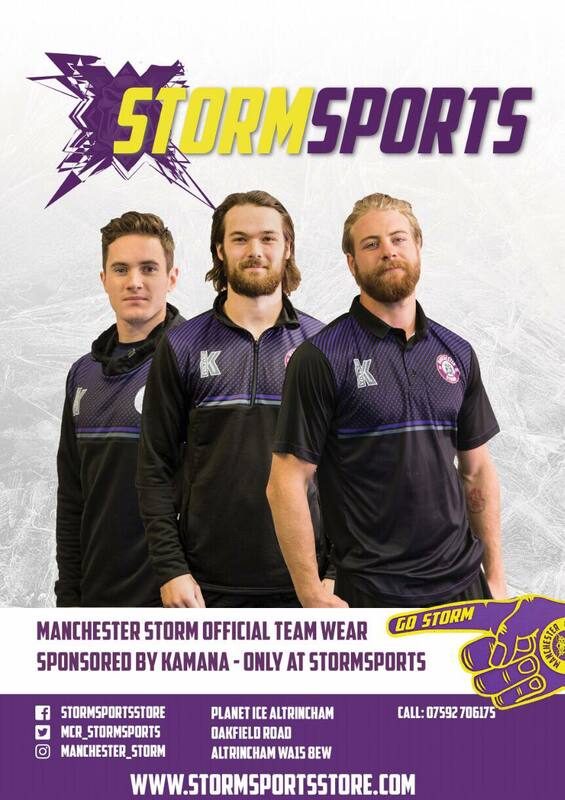 Having dominated the play for the opening 6 minutes, Mike Hammond openned the scoring for the Storm in the 14th minute, converting on the powerplay, before Luke Moffat doubled the Storm’s lead late in the period. 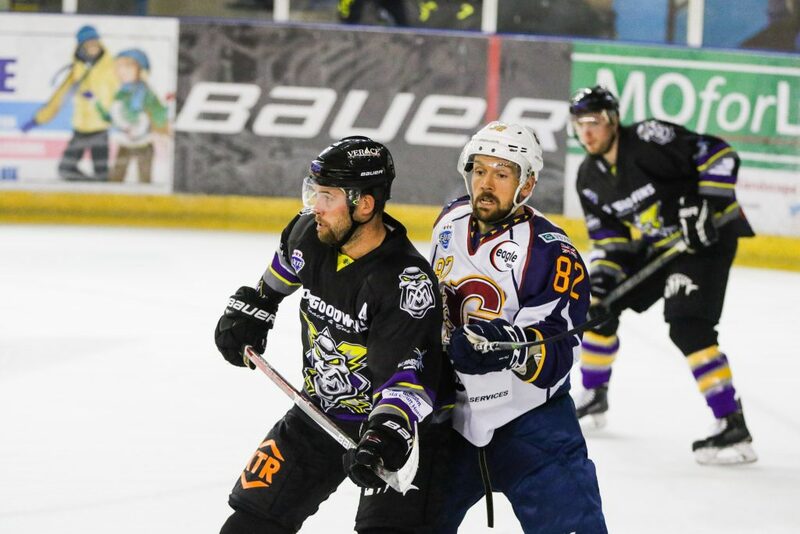 A wild second period ensued, with Ian Watters grabbing the visitors first, whilst the Flames had the man advantage, before Ben Davies grabbed the flames 2nd, and equalising goal. Storm quickly bounced back to reclaim the lead through Dane Byers before Hammond scored his second of the night, yet the period was far from over! Before the period was over, both teams were back on level terms however, with Davies scoring another powerplay goal for the Flames, before Carl Ackered added a powerplay goal in the final minute of the frame. Captain, Jay Rosehill, put the Storm ahead again in the 48th minute, but just as victory was in sight the Flames produced another powerplay goal to tie the game at 59.38, David Lilliestrom Karlsson the scorer. The game moved in to overtime, where the Flames continued to dominate the shot count but failed to produce a winner, with that honour eventually falling to Storm’s Matt Stanisz ,50 seconds from the end to secure victory for the Storm! 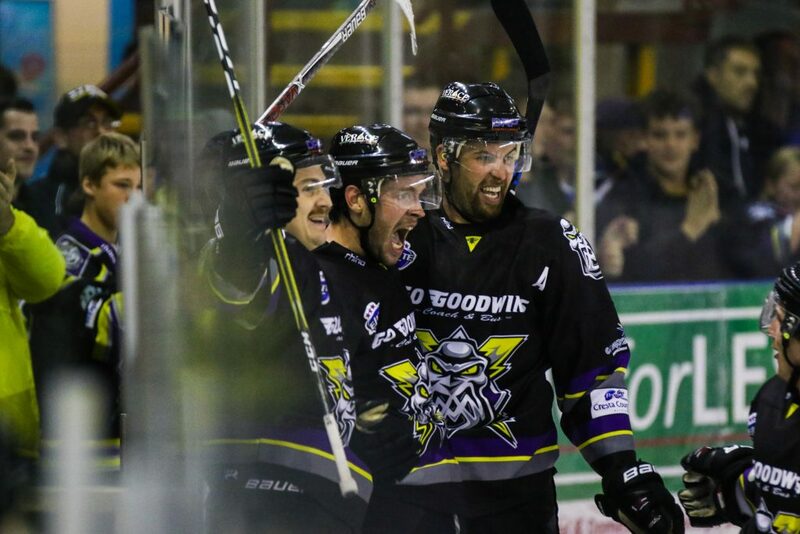 Storm now look ahead to tomorrow evening, away at the Cardiff Devils, before returning home next Sunday to take on the Belfast Giants. Tickets can be ordered online, by calling the box office on 0161 926 8782, or in person at the box office.